Set of houses in Poitou, 130 m2 and 80 m2 on more than 2ha with a small pond and outbuildings. 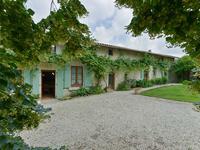 Located in the heart of Poitou between Poitiers and Niort, in the countryside. This old . . . Located adjacent to the town centre, with 4 Bedrooms and beautiful garden, will be a great . . . This is a lot of House for the money offering great potential for a hospitality business or . . . 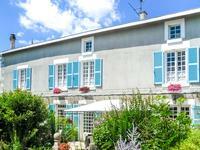 Formerly part of the old convent, this stunning property is located in a quiet cul de sac. . . . Exceptional quality, five bedroom house with garage, outbuilding and garden in the pretty village of La Mothe St Heray. Wonderful property finished to a high standard. Gated and enclosed garden with wooden terrace . 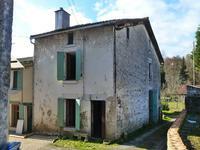 . .
3 bed house with barns, stables and over 2.5 hectares of pasture, ideal for horses or small . . . This well presented detached property is situated in a quiet hamlet near to Pamproux and Rouille. 4 bedroom detached house with outstanding panoramic views and walking distance to the town centre. A detached house with fitted kitchen, large reception room with feature fireplace, office, . 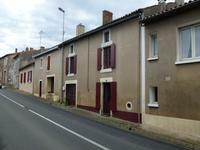 . .
Lovely detached village property offering spacious accommodation with great business . . .
House and Barns with land offering GREAT OPPORTUNITY to remodel and create a house and . . .
Beautiful property with no neighbors within 500 m, spacious house, private road with access . . .